Morning-after heat signature of existing flat grate installation. We live in a home that was built in the 1950s, with a conventional fireplace that has been problematic over the years due to poor draft, leading to smoke in the living room from time to time. Because of some of the problems, we installed glass doors and experimented with various grates and gadgets using fans and ducts to route room air into the fireplace and back out, sending heated air into the room. Recently, after reducing downdrafts by having a cap installed on the chimney, I've been experimenting with the operation of the fireplace once again. I must admit that this sudden interest was prompted by the imminent failure of the conventional flat grate that we have used for years. While our grate is primarily flat, it does have a couple of ears sticking up that allow me to stack logs near the back of the fireplace, and I had found that we suffered fewer puffs of smoke into the room if I stacked logs in back of those ears. 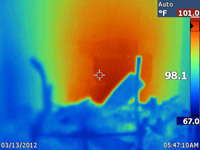 I didn't realize, until I took this picture with the thermal imager, how effective those ears were at channeling heat to the back wall of the fireplace. Imagine my surprise when I took this picture showing that wall still radiating significant heat into the room long after the embers from the fire of the evening before had cooled down. The discovery set me on a quest for a new grate and system that could get the most out of our previously troublesome fireplace. As is usually the case, my empirical discovery of an efficient way to operate our fireplace is a well-known principle that is at the heart of a grate and reflector system marketed by a Connecticut company. After further research into the system they offered, I ordered a new grate and something called a "reflective fireback" - a steel plate that is placed against the back wall of the fireplace. When the ordered components arrive I will begin a series of tests. First, I'll use only the new grate, loading the wood between the front arms of the grate and the brick back wall of the fireplace. Then, I'll start the fire and let it burn for an evening. 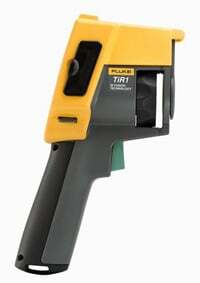 When there are just embers left, I'll take thermal images of the situation, recording the radiation from the brick back wall. I'll also record the morning after results - as above. On a successive night, and after placing the new steel fireback in position, I will again build and start a fire and repeat the test sequence. What is the difference between the brick back wall and the steel fireback in radiating heat into the room while the fire is burning? What is the difference in radiation during the cooling-off period after the fire has died down? I'm pretty sure that the steel plate may be more efficient as a reflector while the fire is active, but am wondering if it won't lose heat more quickly than the brick back wall alone after the fire dies down due to lower mass and specific heat when compared to the brick. It's entirely possible, of course, that I'll generate a whole new set of questions as a result of my experiments. But then, that's what doing science is all about. Many of us have studied basic physics in high school and performed the lab experiments that demonstrated and verified the laws and formulas we were taught. I have used those basic principles throughout my career, to confirm what I thought I knew, or to learn about things I had never considered before. One such case was a temperature stabilized temperature bath I built to house primary standard cells used to provide voltage standards for use in an aerospace laboratory. My plan was to use a temperature where the slope of the temperature coefficient of voltage was near zero. That occurred at 4 degrees Celsius. I achieved that temperature by using the Peltier cooling principles of thermocouples when current is passed through them. 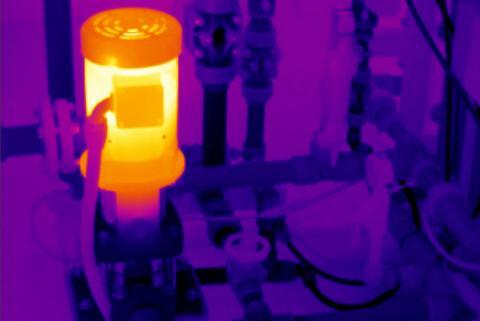 After many adjustments of my control system, I was able to achieve the desired stable temperature. The problem that I didn't anticipate was the difference in temperature between the standard cells in the thermal chamber and the ambient lab environment. I hadn't adequately restricted air movement through the insulation used in the housing, and soon the cooler inner surfaces had condensed moisture out of the air into the inner chamber. A similar process takes moisture from the air in your home during cold weather, leaving you with low humidity, and moisture collection in areas of your walls where air flows. 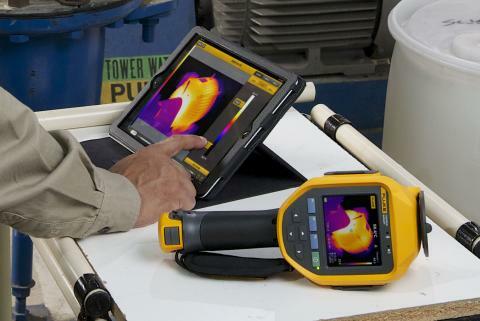 Fluke thermal imagers can help you locate these traps and do something about them. I'll report more about my fireplace experiments in a later column.